The temperature is heating up across the Puget Sound area. Days are getting sunnier, which can only mean one thing: summer is on its way! While this is good news for many, there are quite a few people who don’t have an air conditioning unit. If you are one of these people, don’t fret. At Beacon Plumbing, we have a whole team of air conditioning experts that can install a new air conditioner for you. We will take into consideration your budget and your home with the goal of finding the perfect air conditioning unit. If you already have a unit, but it doesn’t work, call us. Our team has a lot of experience with fixing air conditioners. This service saves our customers a lot of money each year. By repairing your air conditioner, you will avoid having to purchase a new one. You will also save money on the actual cost to run your unit, since a properly working unit is more efficient. Our air conditioning experts are unmatched in their expertise, professionalism, and friendliness. For more reviews, like this one, visit http://www.beaconplumbing.net/kent-plumber-testimonials. When you call Beacon Plumbing, you will get a team of experts who know how to choose and install the best air conditioning unit for your needs. Our technicians work all hours of the day and provide same day service throughout Kent and the surrounding areas. If you thought air conditioners in Kent cost too much money, think again! At Beacon Plumbing, we can help you find a unit that fits into your budget. The summers in the Puget Sound can be warm and humid. If you aren’t prepared, you may end up in a frustrating and uncomfortable situation. Keep your house and you family cool with a brand new air conditioning unit that has been properly installed by our team of air conditioning experts. To get air conditioning in Kent, call Beacon Plumbing at 253.220.6100. If you want to get a new air conditioner in Bellevue, Beacon Plumbing is the place to call. We routinely hear that our air conditioning and plumbing technicians go the extra mile to help our customers. At Beacon Plumbing, we offer both installation and repair service for air conditioners in Bellevue. Our air conditioning experts can help you choose the best air conditioning unit for your home or business, with the goal of saving you money and keeping you comfortable throughout the warm seasons. Maintenance is important for your air conditioner. If, for whatever reason, you air conditioning unit is not working, call Beacon. Our team has licensed and experienced air conditioning repair technicians who can fix your air conditioner. This will save you the cost of purchasing a new air conditioner. To reach Beacon Plumbing directly, call 425.679.9500. Are you a home owner in Olympia? If you are, then you will undoubtedly need an air conditioner in a few months. If you manage to make it through spring without an air conditioning unit, more power to you! Many homeowners need air conditioning to keep their homes at a temperature that is comfortable. In summer, especially, the temperatures rise and become unbearable for many people. At Beacon Plumbing, we offer affordable residential air conditioning in Olympia, both to home owners and business owners. Our air conditioning services include installation and repair, as well as help to pick out the perfect unit for you if you need to buy a new one. We offer our services 24 hours a day, 7 days a week so that you can get the support you need when you need it. There’s no reason for you to go through the warm seasons without air conditioning. With our help, you and your family can relax in your house during the highest heat of the year, which is generally July and August, and sometimes into September. To find out more about residential air conditioning in Olympia, call Beacon Plumbing at 360.515.7075. At Beacon Plumbing, we offer commercial air conditioning in Olympia in addition to our residential services. We value the relationship we have built with Olympia’s business owners, and will do whatever we can to provide fast, reliable, and cost effective service. In the summer, Olympia residents flock to businesses to relax and find comfort in a cool atmosphere. If your business is dealing with high heat due to not having an air conditioner, customers will stay away from your business. This could lead to a slow summer and reduced sales, two problems you want to avoid. Downtown Olympia is the perfect place for a unique and successful business. Olympia residents and tourists stroll through downtown to go through clothes shops, antique shops, bakeries, cafes, and gift shops for fun. By providing a cool environment, you will be sending a clear signal that you care about customer comfort. Your customers are sure to appreciate the extra thought you have put into their comfort and well being. Call us today to find out how you can get a brand new air conditioning unit, or to repair the one you already have. If you live in the Tacoma area, then you’ve undoubtedly noticed the increased temperature. Spring is well underway, which means the weather is getting hotter. It also means summer is just around the corner. If you are a home owner or a business owner and don’t have an air conditioning unit yet, now is the time to purchase one and have it installed. Beacon Plumbing may be best known for our quirky advertising and professional plumbing services, but we are also a full service air conditioning provider in Tacoma. Our air conditioning experts can answer any and all questions you have regarding air conditioning, and help you make the best choice regarding which unit to go with. Once you’ve decided on an air conditioning unit based on your budget and needs, our team will install it for you. When you choose us, you have nothing to worry about other than how to best enjoy your new, comfortable environment! In addition to new air conditioning in Tacoma, we offer air conditioning repair. This service is offered for home owners and business owners who already have a unit, but have noticed that it is not working properly. Instead of going out and purchasing a new air conditioner, which can cost a lot out of pocket, have your air conditioner inspected. You may be able to squeeze extra life out of your unit with a few simple repairs. You may also find that a few repairs is all your unit needed to start working like new again. In Washington, and in Tacoma especially, air conditioning units are not used all year. Having your air conditioner off for most of the year can leave it vulnerable to a few different problems. Call the professional air conditioning experts at Beacon Plumbing to find out more about repairs. We provide commercial air conditioning in Tacoma in addition to residential air conditioning. This means that with our help, Tacoma business owners can offer comfort to their employees and to their customers. In the summer time, customers head to their favorite businesses to keep cool, relax, and shop. If your shop is sweltering, chances are you are going to lose out on a lot of sales. As a business owner, customer comfort, care, and satisfaction is obviously your top priority. Call Beacon Plumbing to find out how to get a new unit or repair for your existing unit. Are you a Seattle homeowner? 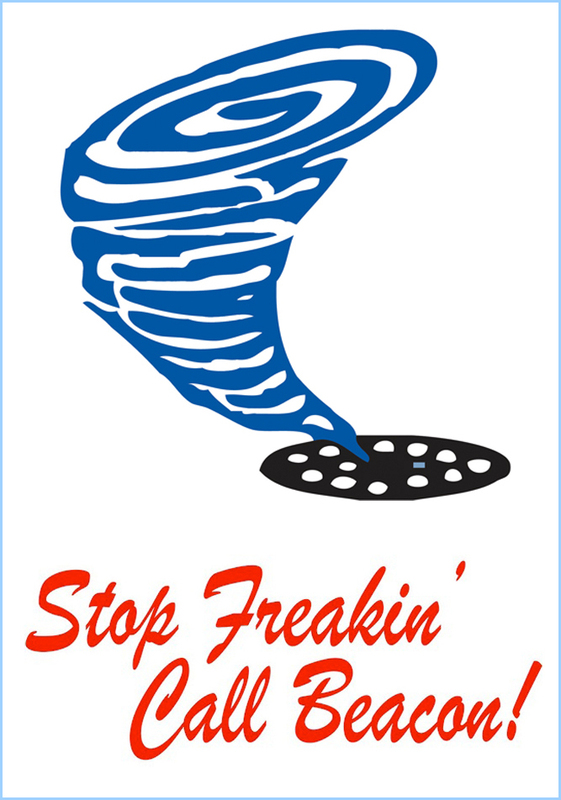 If so, you know how frustrating it can be to not have a properly working air conditioning unit. It is spring, which means summer is just around the corner. For many, the heat is a minor nuisance, but for others it is unbearable. Regardless of how well you handle the heat, it’s important to keep your home environment at a comfortable temperature, which can easily be accomplished with the help of an air conditioning unit. At Beacon Plumbing, we offer air conditioning inspections, installation, and repairs, with the goal of giving our homeowners a comfortable living environment. It is amazing how good your quality of life can be if you and your family are comfortable in your own home. Productivity increases and family time is more enjoyable. If you don’t have an air conditioning unit, give us a call today. Our team of professional air conditioning specialists will work with you to choose the best unit for your home. Once you’ve decided on a unit that fits your needs and your budget, we will install it for you. Our professional installation means you won’t have to hassle with an unfamiliar structure, and it also means we will be ready to handle any maintenance and repairs in the future. If you already have an air conditioner, but you have noticed some problems with it, give us a call. In addition to installation, our team can offer air conditioning repair in Seattle. Our repair services are meant for squeezing extra life out of your unit, which is important for the environment and for saving you money. Sometimes, a small repair is all that is necessary to get your unit up and running again like new, so don’t hesitate to call. One of the qualities about our business that customers love is that we offer service 24 hours a day, 7 days a week. This means you can get emergency air conditioning service whenever you need it, whether it is in the afternoon or the middle of the night. Don’t wait until it gets hot to make sure your air conditioning unit in Seattle is working properly. Waiting can cause you unnecessary stress and discomfort. 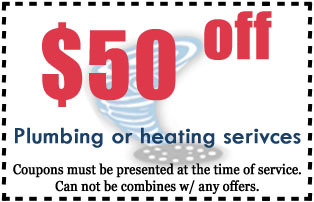 With the help of professionals at Beacon Plumbing, you never have to worry about the heat again! For more information regarding our residential air conditioning in Seattle, click here. You can also reach our team directly by dialing 206.452.3130. Are you looking for a commercial plumber in Seattle? If so, give Beacon Plumbing a call. 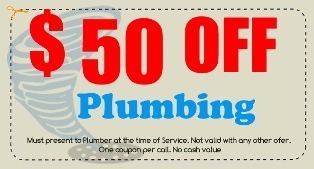 We are Seattle’s number one commercial plumbing company, and for good reason! Every day you can find out plumbers buzzing through the city in our fully stocked plumbing trucks. We are dedicated to providing fast and efficient service that is affordable and easily accessed by all, including our fantastic commercial clients! As a business owner, you undoubtedly watch over every aspect of your business. Nothing goes overlooked by you, and so we know how important it is to find a quality commercial plumbing company. Sure, our team is great, but without services that get the job done, we would not be in business. You are a business owner, but you are also a customer of other businesses, which means you know how important good plumbing is to a customer. In fact, many customers will choose one business over another if they know they can’t rely on a specific business’s plumbing. Don’t be THAT business. If you frequently have customers using your bathroom facilities, or you are a dealing with older pipes and plumbing, stay on top of the game. Keep our information handy for the next time you need a qualified commercial plumber. We will get to you fast and get the job done right, the first time around! Like I said, our plumbing crew is popular for a reason. When customers think about Beacon Plumbing, they think of a business that pushes their employees to always lend a helping hand, whether it is at 2 p.m. or 2 a.m. We put potential employees through a strict screening process, which makes sure they are clear of anything and everything that could compromise the job they perform and the customer’s experience. We also make sure all of our commercial plumbers are licensed, bonded, and insured, and have the same high standards for customer care that we do. We have been around since the 1990’s, giving us a couple of decades worth of great experience dealing with all types of plumbing emergencies and businesses. To reach our awesome office team, dial 206.452.3130. You can also click here for more information regarding our services, service locations, and team. The weather in Seattle and the surrounding area is becoming increasingly warm. Warm weather is a sign that spring is well underway and that summer, the hottest season of the year, will be here before you know it. It also means you will be dusting off your air conditioning unit and running it on an almost daily basis. Like most Washington business owners, you probably haven’t used your air conditioning unit since the last time the weather was warm, and so a quick check to make sure everything is in order is a good idea. Beacon Plumbing, the Puget Sounds number one plumbing company, also provides complete air conditioning services. These services include the installation and repair of air conditioning units, as well as inspections and emergency 24 hour air conditioning service. If you’ve utilized our plumbing and heating services, then you know we are capable of providing top notch equipment and skill. All of our employees are dedicated to installing, repairing, or inspecting your air conditioning unit with the goal of making it last throughout the warm season, and for many seasons to come. With the proper maintenance and care, there is no reason why your air conditioning unit should not last. If you have noticed problems with your air conditioning unit, then it is best to have one of our professional inspectors come to take a look. Our inspection is thorough, affordable, and doesn’t require a lot of time to complete. If we find any problems we will let you know immediately and be better equipped to give you a quote and to repair the problem for you. Our air conditioning specialists are interested in providing you the best service possible. If your air conditioning unit will cost just as much to repair as it will to buy a new unit, we will tell you. We don’t believe in running our clients around and giving them false information. As a Seattle business owner, you need a high quality air conditioning unit to keep your customers and your employees happy and comfortable. By listening to our experts, we can assure you that you will get the best information available. To find out more about how to get a professional commercial air conditioning installation or repair service, click here. You can also call our office directly by dialing 206.452.3130. Our team looks forward to speaking with you! Are you looking to get automatic flush valves in Everett for your business? If so, call Beacon Plumbing. There are plenty of plumbing companies in the Puget Sound that can repair and install automatic flush valves, but only one company can offer unmatched customer service, affordability, and high quality work. At Beacon Plumbing, we know that our work speaks for itself, but that is no reason to skimp of the customer care that we have become accustomed to offering. We appreciate each and every one of our commercial plumbing customers. As a small business owner, the last thing you should have to worry about is paying an arm and a leg to update your bathroom. By installing automatic flush valves in Everett, you are not only updating the appearance of your bathroom, but you are offering an easier and more sanitary way for customers to use the restroom. With the no-touch technology that automatic flush valves offer, your customers will remain healthier and happier while in your establishment. To access more information about Beacon Plumbing and the services we provide, call 425.329.7875. Have you been thinking about getting automatic toilets in Tacoma? If you are a business owner, it would be a smart idea for a number of reasons. Automatic toilets are a nice convenience because they do the “thinking” for the user. This means a user no longer has the option to flush or not to flush because the toilet does it for them. This is great for maintaining clear pipes as well as a clean appearance. As a business owner, you probably know that many customers conveniently forget to flush the toilet, leaving an unsightly situation for the next person. Having an automatic flush valve circumvents this problem. If you haven’t had an automatic toilet installed because you are afraid it will waste money, think again! Automatic flush valves in Tacoma actually save your business money. They are also a piece of cake to install for a qualified plumbing professional, like those found at Beacon Plumbing. At Beacon Plumbing, we routinely install automatic flush valves in Tacoma. Our business owners love the convenience and appeal of a touch-free flusher for their customers. We are also extremely confident in the quality of our work. We are so confident that we offer a one year guarantee on all of our parts and labor. If you live in the Puget Sound, then you’ve probably seen our Beacon Plumbing trucks whizzing by on the way to a job site. We constantly strive to offer fast and reliable service to our residential and commercial customers. As soon as you call our office staff will dispatch a driver to your home or business. Every truck is completely stocked with all the professional grade equipment necessary to complete any job, which ensures that our technicians will be ready on arrival. To find out more about Beacon Plumbing, and the benefits of installing automatic flush valves in Tacoma, call 253.655.4599. Are you interested in getting automatic flush valves in Bellevue? If so, contact Beacon Plumbing to find out how to get easy, fast, and affordable automatic toilet installation in Bellevue. Automatic flush valves are not only cool technology, but they are also a more sanitary way for people to use the restroom. Anytime no-touch technology is utilized, people remain healthier. You can have automatic flush valves placed in your Bellevue business’s bathroom to update its look and to increase customer satisfaction. Every small thing that you do makes a difference to your customers, and the bathroom is no exception! Many customers report decreased satisfaction if they visit a business that doesn’t take care of its restroom. With the ease of automatic flush valve installation, why not take advantage? At Beacon Plumbing, our technicians can get in and get out in no time, allowing you to quickly show off your new technology. Our services include complete plumbing in Bellevue. Our plumbing technicians, who we believe are the best in the business, are experienced with all situations. They can provide repair and installation services for whatever you need, and they can do it on an emergency and same day basis! Our plumbers even make themselves available 24 hours a day, 7 days a week. It doesn’t get much more convenient than that! Our plumbers are also known for their great attitudes, which always make customers feel better about getting their plumbing taken care of. For more information regarding Beacon Plumbing, or to get a plumber out to install a new automatic flush valve, call 425.679.9500. We can’t wait to help you update your bathroom!